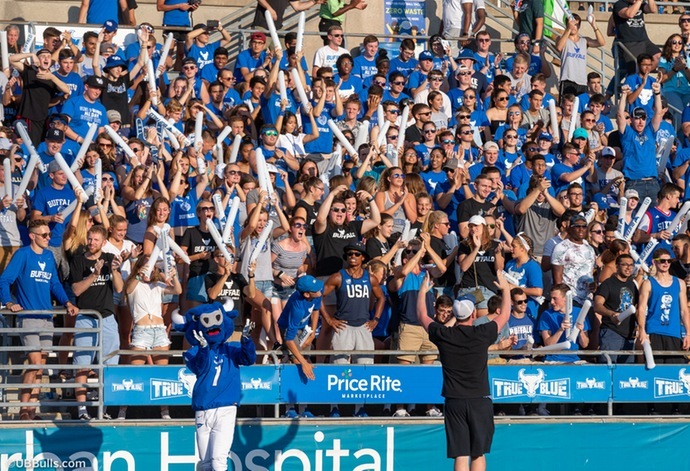 BUFFALO, N.Y. -- Ticket sales have been steady for Saturday's University at Buffalo football game against Army. 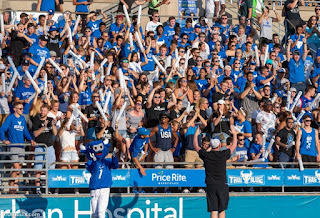 At the rate tickets are being sold, UB Stadium will likely see a crowd it hasn't seen in a very long time. There are still general admission tickets available and fans are encouraged to purchase a ticket to support the undefeated Bulls – Buffalo's hometown college team. As always, an allotment of tickets are being held for students based on attendance at previous games. Kickoff is slated for noon on Saturday. Due to the anticipated large crowd, fans are encouraged to arrive early. Stampede Square, UB's family-friendly tailgate area, will open at 9:00 am. Country superstar Joe Nichols will take the stage at 10:00 am for a free concert. Tickets are available at the Alumni Arena ticket office weekdays from 9 am – 5 pm. Tickets can also be purchased at UB Stadium on Saturday starting at 9 am. Again, with the anticipated crowds, fans are encouraged to purchase their tickets early. Click here for more information. Be sure to check back to www.ubbulls.com for updates.